Please confirm these important notice before you book. ・ Please book on website or telephone by noon the day before you get forest adventure . ・ please come to our reception by 15 minutes bofore your booked time. we put you on the waiting list, and you need to wait or can't use. ・ It takes about 2 hours ~ to play all. ・ Please wear clothing that you don't mind getting dirty or even slightly damaged. Please bring a clothes to change. No hi heel shoes, sandals, slip-on shoes. ・ There is no restaurant and store around this park . ・ We open for business in the rain. ・ It remains possible that we might be closed due to the bad weather. When the weather is unstable, please ask in advance. ・we have a capacity on each time , so we recommend you to make a reservation as early as possible. ・Please come our reception at least 20 min early your booked time. (Reservation time is starting time of safty briefing lesson ). ・Operating hours vary depending on the season. ・shoes for outdoor sports , spare clothes , small backpack or fanny pack. no sandal shoes, hi heels shoes, slip on shoes , easy to put off . ・ Please wear clothing that you don't mind getting muddy or even slightly damaged. ・We accept cash only on that day. From Tokyo area , you can get on 「Odawara Atsugi toll road」 and get off at 「Ogikubo IC」 and 1 mile to Forest Adventure Odawara. Nearest parking lot is 「wanpaku land no.2」. From Hakone and Fuji area , take a local roads. From Odawara Station West Exit, you can take a Hakone Tozan Bus bound for 「ikoi no mori」 15min bus ride and get off at 「ikoi no mori」 and 10 min walk. From Odawara Station West Exit , 10 min taxi ride. We don't have an instructor everyday who speak English . We look forward to welcoming you to Forest adventure Odawara ! 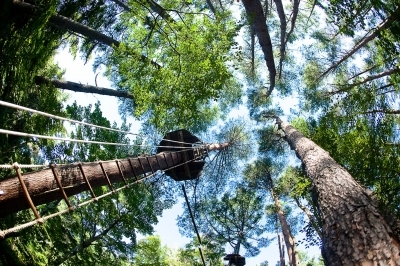 Enjoy great tree top adventure ! !